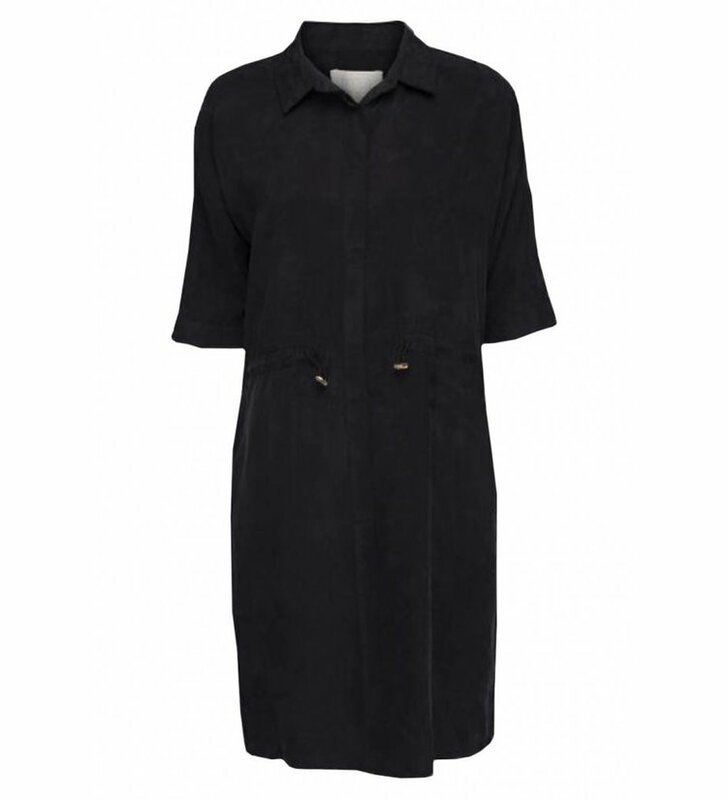 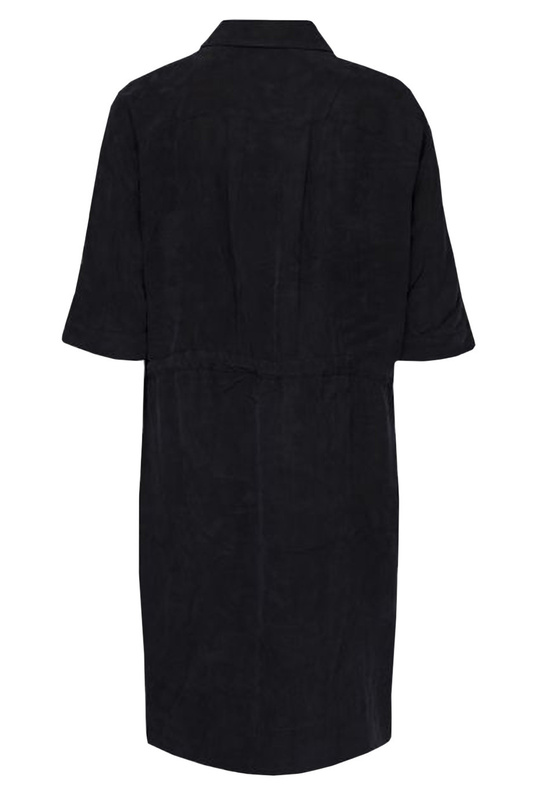 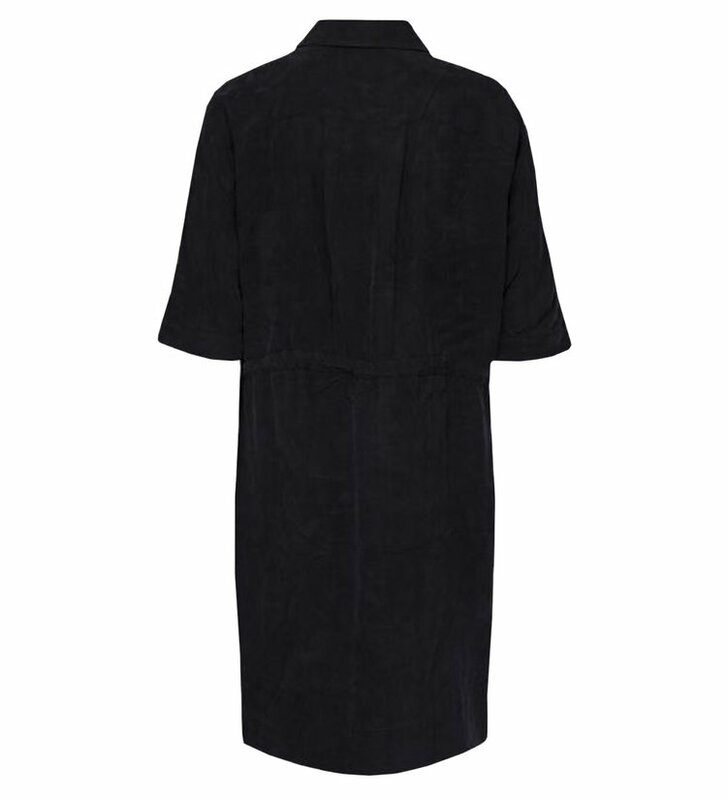 Shirt dress Gertie from Minus. 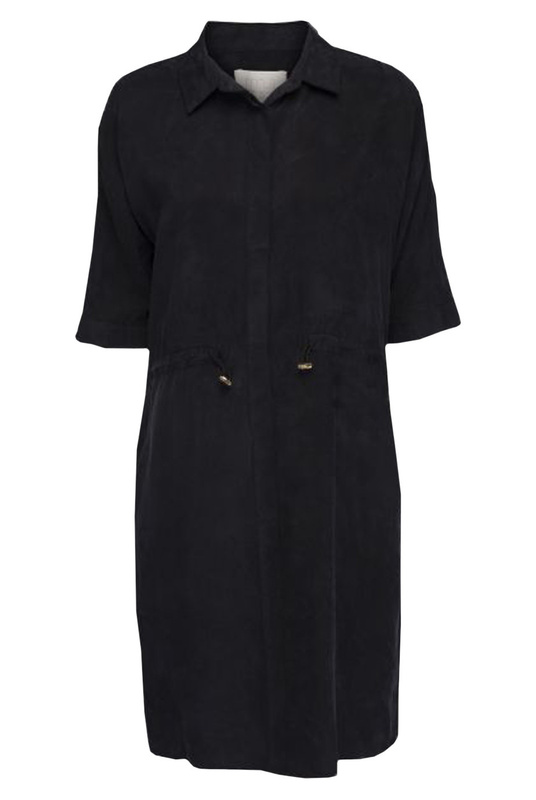 The Gertie in black has a pointy collar, a concealed button fastening, threequarter sleeves and a drawstring at the waist. The Gertie has a relaxed fit and appeal.